In the United States only around 25% of plastic is recycled; the rest ends up in landfills or worse, the streets. Recycling plastic packaging has benefits that far out way the negatives, both environmentally and through a business standpoint. Recycled reused plastic products are used in nearly all industries and used to create everyday products. Throwing away plastic products only creates larger landfills, having no environmental benefit. Each year enough plastic to circle the earth over four times is thrown into landfills. That’s over 99,604 miles of plastics thrown away instead of being recycled. To make matters worse, plastic takes over 1,000 years to degrade, so this generation’s wasted plastics are going to cover the earth’s surface for many many years to come. It is not all bad though, with the increasing movement to “Going Green” individuals and businesses are beginning to recycle and reuse plastic materials. The process for reusing plastics includes: cleaning the recycled plastics, melting it down to form small liquid pellets which are used to create the reusable products. Reusing plastics instead of polluting landfills greatly benefits everyone involved. “Going Green” is very particle for all businesses because of the financial returns and the positive public image helping the environment has. AIM Reusable Packaging recycles reusable scrap plastics. AIM looks to help businesses while keeping the environment safe by depositing plastic packaging scraps into bottom line dollars for businesses. Being able to recycle unused plastic packaging, while being paid for it is a perk for any business working with AIM Reusable Packaging. 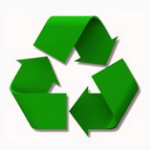 Recycling is important for the well-being of the environment and future of businesses.